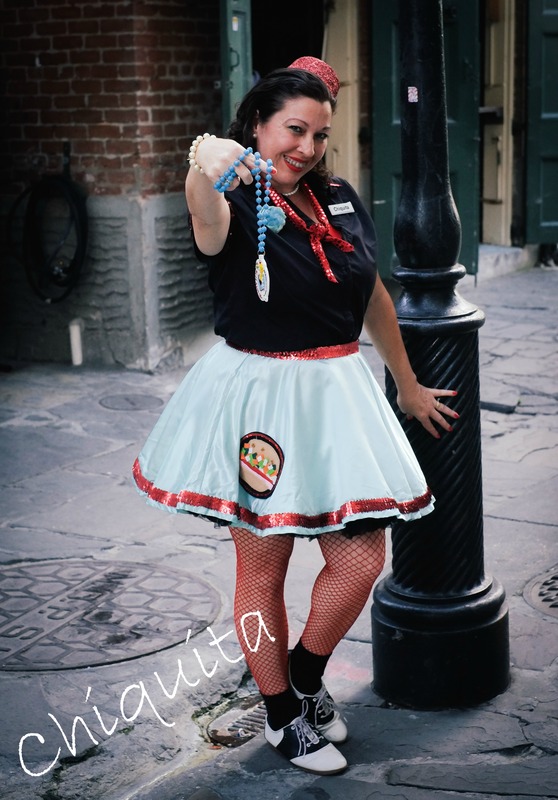 “Chiquita” is a Naturally Nawlins’ girl who loves Second Lines, Suppa’s, and Sippin’ on Sazeracs. Her hobbies include baking cookies for the St. Joseph alter and collecting lucky fava beans. Her fondest memories growing up in the N.O. include shopping at all the fine department stores on Canal Street and riding the Zephyr at Pontchartrain Beach. When not dancing in the streets “Chiquita” enjoys her roles as an H. R. manager, freelance writer and Zumba enthusiast!